Trust me, you’ve NEVER heard this before. Neither did I, until 20 minutes ago. I’m happy to finally be able to share the four Psyence Fiction remixes that came out on the very limited and very expensive Mo’ Wax Future Past vinyl series! Finally some new UNKLE music which is not a remix. Coming out of nowhere, here’s a free compilation of classic DJ Shadow and DJ Krush tunes getting the remix treatment by a solid team of beatmakers. You should really check it out. Elliott Power is the guy behind the latest Mo’ Wax logoed vinyl, in conjunction with Marathon Artists. I wanted to know more, so I just asked. Gift of Gab and Chief Xcel aka Blackalicious’ new album is now available to pre-order via a PledgeMusic campaign. 15 years later, the second Mo’ Wax Vecta release is now available as a digital download, for free. Here is the recording of the all vinyl Mo’ Wax DJ set I did for the opening of Blackalicious live @ la Vapeur, Dijon. 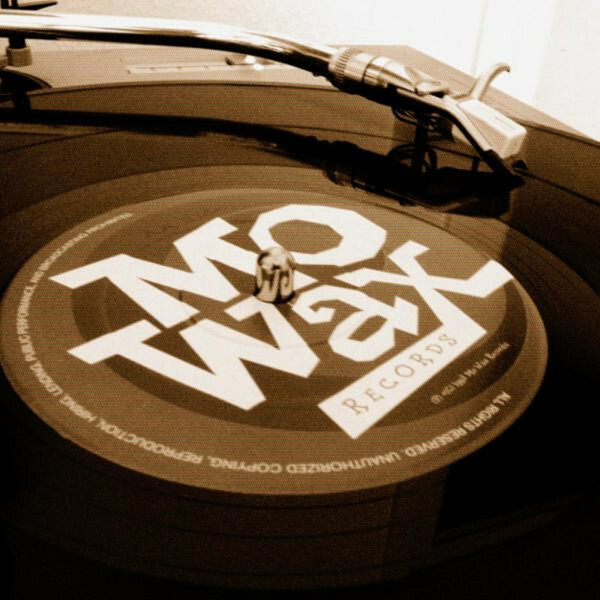 Watch the weird video of Money Mark’s most successful release on Mo’ Wax, that was released exactly 17 years ago today. Here’s the latest vinyl record with a Mo’ Wax logo on it, and it’s an interview of Rammellzee from 1995. Someone just uploaded the recording of the first That’s How It Is! birthday, mixed by Gilles Peterson and James Lavelle at Bar Rumba in 1994. Here’s some music by DJ Krush and The Prunes that you may have never heard before! This 23 minutes video is a collection of 11 short films directed by Thomas Campbell for Tommy Guerrero’s music, released by Mo’ Wax in 2000. Here’s a rip of the promo cassette for Blackalicious’ Nia LP from 1999, mixed by J Rocc of the Beat Junkies! A focus on David Axelrod’s album for Mo’ Wax in 1998, including an exclusive video interview and DJ Shadow’s liner notes from the CD.